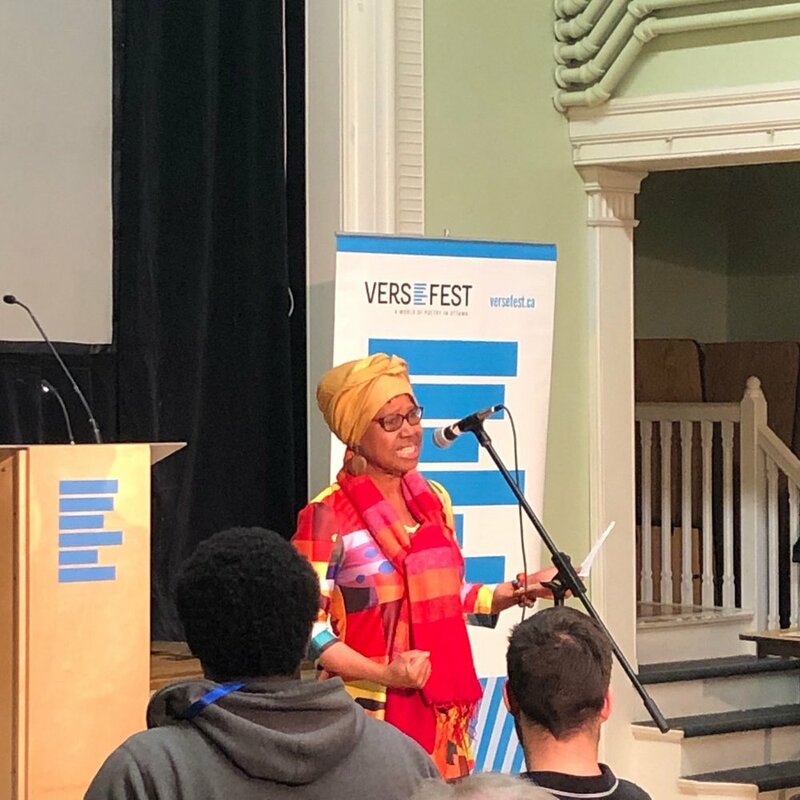 2019 Versefest Ottawa Invitational Slam! 2018 was a bit of an off year for me - I didn’t write at all! This year has started slightly differently. I was invited to participate in Versefest’s invitational slam and accepted although I’d never been involved with spoken word or participated in a slam before. Crazy, right? But this is a year for trying new things, experimenting, making the leap even though I’m afraid - not being fearless, but doing it afraid. And so on Friday night, March 29, 2019, I went in with one prepared poem, with only the goal of trying out this new experience and with no expectations of moving beyond the first round - and I was so wrong! I did move on to the second/final round and was totally unprepared for that - I had no poem! Thank goodness I usually carry around a copy of my poetry collection, Splinter. I read one of the poems from this selection in the final round. Let’s raise a glass to trying, to taking chances.